We've heard of athleisure, but what exactly is femleisure? It's the combination of two major trends. 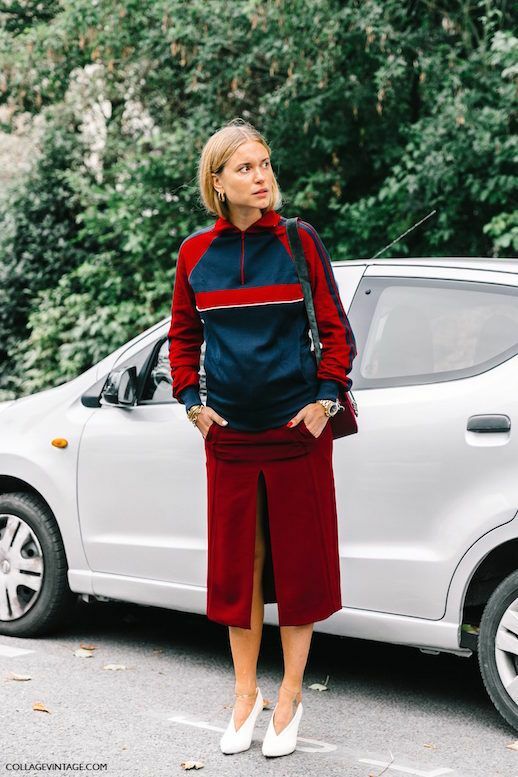 Feminine pieces are mixed with sportswear; track pants with ruffled turtlenecks, work out leggings with silky blouses or like how Pernille styled it, track jackets with pencil skirts in a daring hue. It's the best mixture of sporty and chic.